Guardino revealed she has struggled with alcoholism for many years and expressed gratitude of Watson’s support throughout her treatment, while also apologizing to the Nashville community. 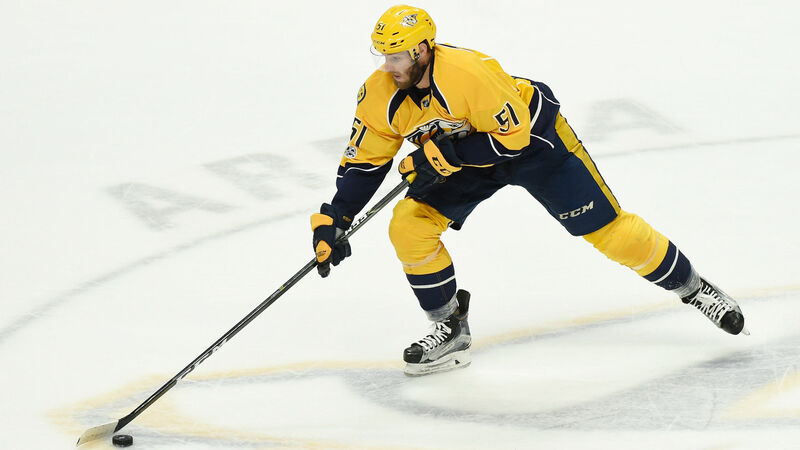 Watson, who was originally suspended Sept. 12 for “unacceptable off-ice conduct,” was arrested in Tennessee on June 16 after police were called to a gas station in response to a possible domestic violence situation. When officers arrived, Watson allegedly told police he had been involved in an argument with his domestic partner and he acknowledged he pushed Guardino. Officers found red marks on her chest and she alleged Watson caused them, according to ESPN. The altercation ultimately resulted in Watson pleading no contest to a charge of domestic assault on July 24. Watson, 26, will be eligible to return to the Predators’ lineup when Nashville takes on the Coyotes on Nov. 15.